Strap yourselves in Britain you're in for an experience. 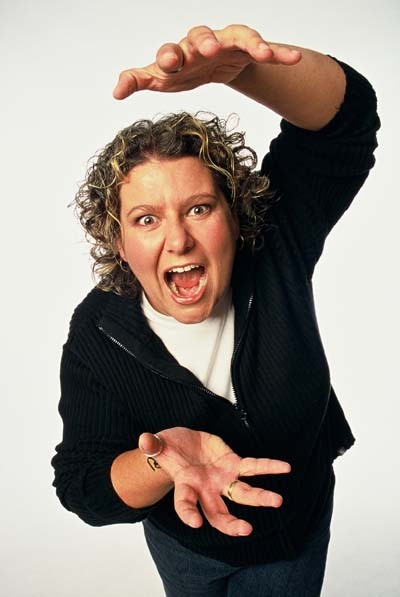 From Bouncer to Accountant to Australia's hottest export in comedy, Julia has been tearing through audiences with true-life tales that endear her to all who listen. Appearances on down under stage, TV, radio and film have honed her dynamic personality to a gutsy edge that can't be rivalled. She doesn't just take the stage, she owns it. Her Australian style of storytelling is delivered with such honesty and energising pace that a shirt full of sore ribs is guaranteed. A worthy addition to any bill, Julia has been winning audiences over through out Australia with her humour that refuses to be pigeonholed and her personality that refuses to be ignored. 2004 Melbourne International Comedy Festival - "Punch Drunk"